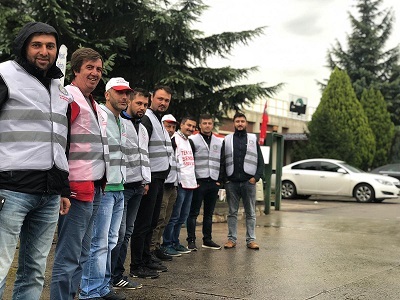 For more than 200 days now, 14 workers who were dismissed on April 17, 2018 while trying to organize a union at Cargill Turkey continue their militant protest. They've taken their fight for freedom of association to the streets, social media, newspapers across Turkey, and beyond. Over these 200 + days, IUF affiliates with Cargill membership have contacted the company expressing their support for the Cargill 14 and requesting that these 14 workers be reinstated. If you haven't already, click here to send a message to Cargill in support of #TheCargill14.